Nearly a year ago, I talked about what it was like to play One Piece: Pirate Warriors without any foreknowledge of the massive One Piece franchise. In summary: everything seemed like pure, unmitigated insanity. And thanks to the way it jumped through the series’ story at a breakneck speed, it wasn’t easy to follow either. Overall, I enjoyed the game—and the resulting insanity—but it didn’t prove interesting enough to cause me to watch the anime or read the manga. One Piece: Pirate Warriors 2, on the other hand, might succeed at that. Like the original, One Piece: Pirate Warriors 2 is full of unexplained craziness—like boats sailing vertically up the sides of geysers and mind control seashells. However, it is much easier to follow in the second game as it is an original story and not an abridgement of the anime/manga. While many things are still left unexplained, the overall plot is easy enough to understand and enjoy. The aforementioned mind control seashells release a black mist that turns the cast of One Piece evil—except for Luffy and Nami. Unable (and unwilling) to fight their friends, the duo retreat to search for allies. Of course, with all the good guys now evil, these allies have to be recruited from their rogues gallery for the most part. This framework allows for a great introduction to the One Piece world. Luffy and Nami encounter characters from all across the franchise, and players are introduced to each in such a way that they’re easy enough to keep track of. And as Luffy and Nami meet these characters, they one by one join the party and become playable characters. But more than just allowing you to choose the characters for battle, the game also recommends which characters you should play in each level. This in turn gives clueless players like me an incentive to try out the various different characters and becoming invested in them. The game is also full of awesome looking special attacks and intense cutscenes that showcase the powers of many of the characters by pitting them against each other. Though, despite enjoying my time with the game and becoming truly interested in several of the characters after playing them, I’m still more than a little leery about getting into One Piece. After all, with 69 volumes of manga and nearly 600 episodes, it’s an intimidating beast to say the least. 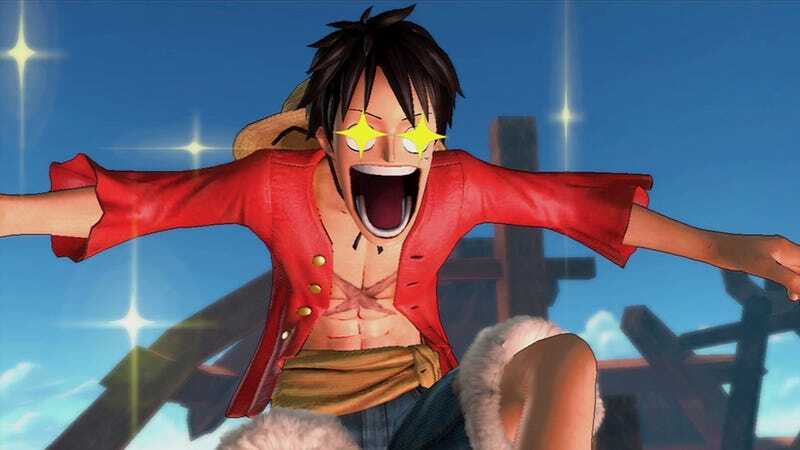 But after playing One Piece: Pirate Warriors 2, I can say that my interest is truly piqued and should there be a time where climbing that mountain of anime and manga becomes a necessity, I just might dive on in.